Coffee is more than a single color. It is an entire palette, stretching out from dark to light and breaking even those boundaries to pull in ancillary compliments. And yet beyond the mere sight of the color, there is a whole philosophy, an energy that coffee has, which it draws both from its invigorating nature, and its exotic origins. These colors are rich, lush, and brightly contrasting, allowing you to fill your home with both warmth and vigor. Coffee colors tend to range from dark to light, with one end sporting the midnight browns of a black cup of Joe, and the other displaying the pale perfection found in café au lait. Adding to this charm are the colors of the coffee beans themselves, which are earthy and ruddy looking when first plucked, but which can also take on a burnt oily appearance when roasted. A good way to find colors which compliment coffee tones is to look at the plant that produces the delectable brew. The coffee plant is a miniature tree, with thick green leaves which droop downward in layers, punctuated by briefly blooming pure white flowers. Bright red berries also dot the foliage of this plant, and these “coffee cherries” are actually where the beans used to make coffee are produced. This plant is sort of a natural cheat sheet, because all of the colors represented in it actually compliment coffee tones quite well, giving you a pattern template that you can follow in your home. Forest greens will merge with the earth tones hues of coffee quite well, while bits of red can accent the whole, and touches of white provide contrasting clarity. Coffee beans are transported in distinctive bags made of a material called hopsacking, which has a unique texture, and a rugged natural appeal. If you can find old coffee been bags, they can be used to create coffee themed decorative items, such as liners for trays, or serving dishes. You can also cut the label out of the bag, and sow it into a decorative pillow as a panel, simulating the look of your own fluffy, overstuffed bean bag. If locating authentic hopsacking proves difficult, you can always use hemp or jute, purchased from the local fabric store to simulate the look. There are a variety of materials that will naturally evoke and or compliment coffee colors. Many hardwoods come stained in tones that will match such a palette, and wicker, and rattan both easily flow in a space where such hues are predominant. Try to match light tones against dark in contrasting layers to create room effects throughout the space. There are also a variety of coffee themed accessories that can be purchased to make the entire style more overt. Aside from the obvious novelty prints and accessories, you also have posters of some of the exotic locations where coffee is grown, framed pictures of coffee plants, drink coasters printed with coffee images, or maps of exotic destinations. Coffee is a symbolic substance in our culture. It evokes a sense of rugged individuality, of adventure, and of excitement. At the same time there is something comforting about the brew, it has warmth that can help to beat back the coldest winter morning. 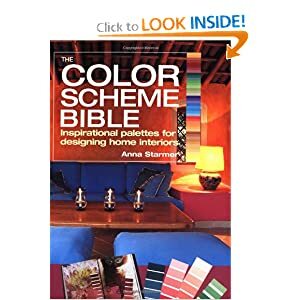 By using these colors in a decorative endeavor, you are lending these symbolic qualities to the space itself.